Amy is from Roswell Georgia where she graduated from Walton High School in 1998. She moved to Stillwater Oklahoma in 2002. She went to college at Oklahoma State University in 2007 and graduated in December of 2010 with a Bachelors degree in Zoology. She started volunteering at the Grey Snow Eagle House in January of 2011 and was hired full-time employee in June 2011. 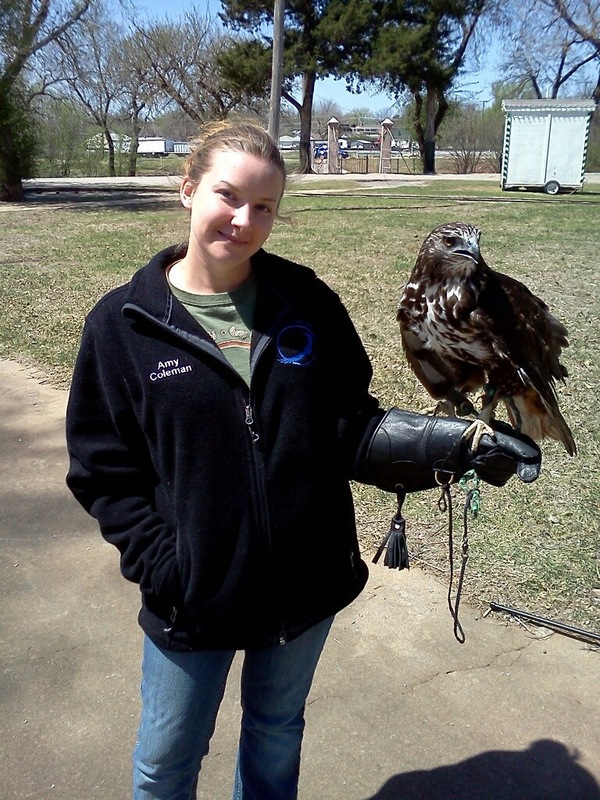 She has attended several trainings including received 100 hours of raptor training at the Birds of Prey Foundation in Broomfield Colorado, attending the NWRA conference, and completing the IWRC Basic Rehabilitation Course. She is currently in charge of the feeder animal breeding programs at the aviary and will helps in the education program handling several of the smaller raptors.